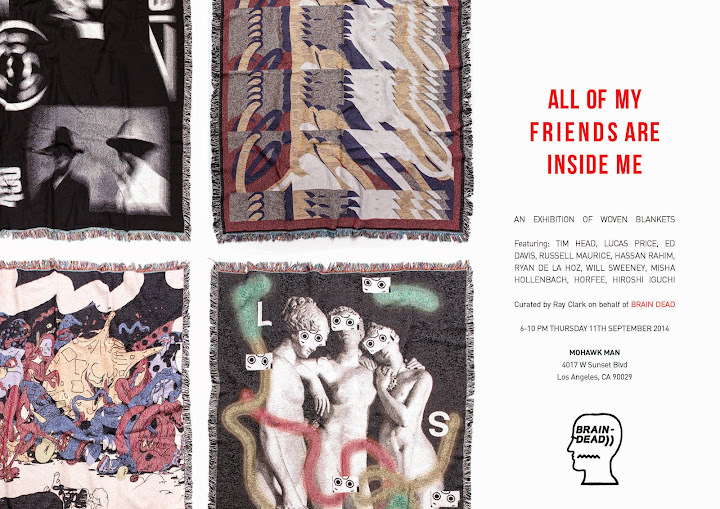 Tomorrow eve (11th September) sees the opening of 'All of My Friends Are Inside Me' an exhibition of psychotropic woven blankets at Mohawk General Store in Silverlake, Los Angeles. The show has been curated by We Are Braindead and features Russell Maurice, Horfee, Misha Hollenbach, Hiroshi Iguchi, Tim Head, Will Sweeney, Ed Davis and more. 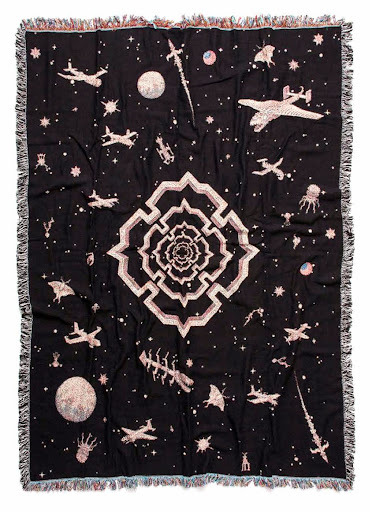 Flyer & Will's blanket above.